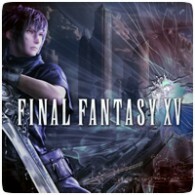 Square-Enix revealed a new trailer for Final Fantasy XV at Gamescom in Cologne last week, titled “Dawn”. The 3-minute trailer teases events that occurred 15 years before the game, effectively acting as a prologue to the game, but it’s a rather boring trailer and doesn’t really reveal much about the “dramatic events” Square Enix states in the description. Meet Detective Shelby, a brand new Heavy Rain character revealed and demoed at Gamescom Cologne. David Cage, writer/director for the game and Founder/CEO of French development studio Quantic Dream, plays through the demo in the video below. Details about the plot of Heavy Rain remain scarce. Cage has stated that Heavy Rain would be “a very dark film noir thriller with mature themes”, without any supernatural elements, and that “the real message [of the game] is about how far you’re willing to go to save someone you love. Following from the Sony’s Press Conference at GamesCom, two employees from SCEE’s marketing team discuss the future of PlayStation: Isabelle Tomatis and Mark Hardy. Most of what they talk about has already been covered on this blog, but you are free to watch the video we’ve included below. According to Hardy, now is the perfect time for the price drop of the PS3, and is a small part of Sony’s plan for Christmas this year. Sony is also pushing for more digital content following from the success of the PlayStation Network. This can be seen with the announcement of the the Video Store for Europe, Digital Comic Service and the new PSP Minis range of games. Did you miss Sony’s GamesCom Press Conference, or are just to lazy to read our summary? Fear not! Thanks to G4TV, we have a video of the entire conference below. The conference includes the PS3 Slim announcement, footage of Heavy Rain and Uncharted 2, and the announcement of the PSP Comic Store. In need of another Uncharted 2: Among Thieves fix? We’ve got a new trailer for you to watch – the one that was shown during Sony’s GamesCom Press Conference. The footage in the trailer is generated directly from the Naughty Dog 2.0 engine. After the trailer to there is a short interview between Naughty Dog’s Arne Meyer and PlayStation.Blog’s Chris Morell, in which they talk about the single-player campaign. Following Sony’s GamesCom Press Conference yesterday, new content has been uploaded to the PlayStation Store. You will find over 10 new game trailers added to the Store, including the PSP MinisTrailer, and PlayStation Network Digital Comics Trailer. Check out the list of new trailers below. Interested to see new developments on the Motion Controller for the PlayStation 3? We’ve included the video shown off at GamesCom 2009 below, courtesy of GameTrailers. Although the video is just a developers update, lots of new features are shown off. Sony promises to bring more news and a bigger update at the Tokyo Games Show in September. We’ve covering Sony’s GamesCom Press Conference Live. Unfortunately, you need to refresh the page to see our updates. This time around, no one is streaming the conference live so you will have to make do with text-based commentary. The conference started just before 5:50PM BST and lasted just under an hour. The PS3 Slim is officially revealed along with the price cut. So all the rumors were true after all. Firmware 3.0 was also mentioned with some of the new features. PSN cards for Europe will be out in September and the Video Download Service will launch in a few selected countries in November. According to a unofficial looking document we received today, Sony has an unannounced PS3 product that is to be revealed during the Sony GamesCom Press Conference tomorrow. The conference which is to be presented by Kaz Hirai and Andrew House, lists 2 PlayStation 3 TOOL consoles and one unannounced PS3 product. The authenticity of the document is questionable since the it mentions the incorrect date of 18/09/2009. PlayStation 3 stocks in the UK have become pretty scarce over the past few weeks. According to Wedbush Morgan analyst Michael Pachter, there is mounting evidence of a price cut. Speaking in a recent VG247 podcast, Pachter said that Japanese retailers are in a situation similar to the one retailers in the UK are experiencing. The PS3 price cut is widely believed to be made public at GamesCom in Cologne on Tomorrow.